A casino called This is Vegas presents the best occasion to start playing with money and there are many of excellent games to do just that. What comes as a really pleasant environment to these premises is always worth checking for the main events are being carried out inside this online casino lounge all the time. Being made in the style of a true Vegas experience, most of such attractions will be present at this time and players can manage to bring out the essential products and actively participate in any sessions that are forthcoming at that too. Rival software is the main supporter of the programming, so expect some of the most exquisite games to be found around here, with special items and bonus features also accounted for. There is still much to discover, with several options for the gameplay as well as a full VIP Club for all the high rollers. 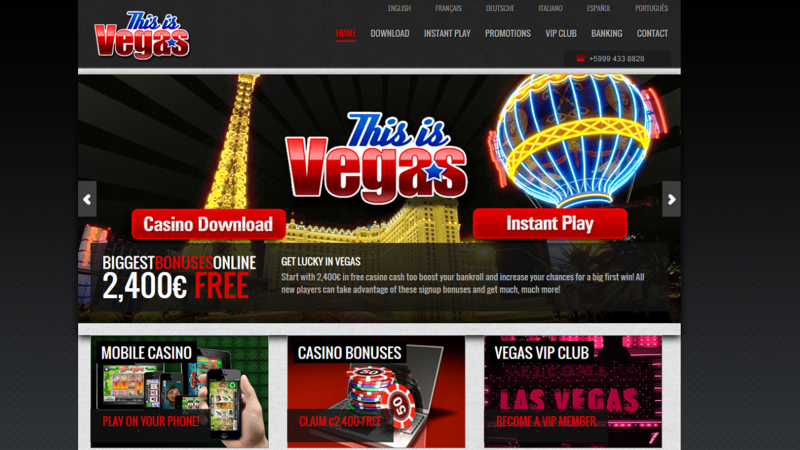 This is Vegas welcomes every visitor seeking the realistic gambling experience and with good reason for most of these exclusive items will come as the main attraction for most of the distributions are defined by their high quality and astounding performance rate at every single launch. The online casino operation has been licensed under the Curacao jurisdiction. The online platform is always ready to download or be launched through the instant play mode that constantly is accessible through any particular way of display. Completely free and secure software solution as this will be very easy to operate and with additional options that make the activity really interesting every time it gets to be started. 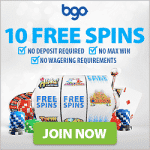 Main categories of the gaming sections would introduce to featured Hot, New, Slots, Table, Scratch & Win, Specialty and other selective pages like these, from each and every genre possible for them to enter. There is even a Mobile Casino so that enjoying the games on a phone could be possible and playing any of the casino products on the move would always come in handy. Some of the more interesting games would be titled as Panda Party, Mystic Wolf, Big Cash Win, Swinging Sweethearts, European Roulette, Gold Rush and other admittedly advanced resources as of now. The languages support by this site would be English, French, German, Italian, Spanish and Portuguese. Registered members of the casino will also have a full assortment of banking methods at their disposal, such as Neteller, eco, Skrill and ukash for starters.